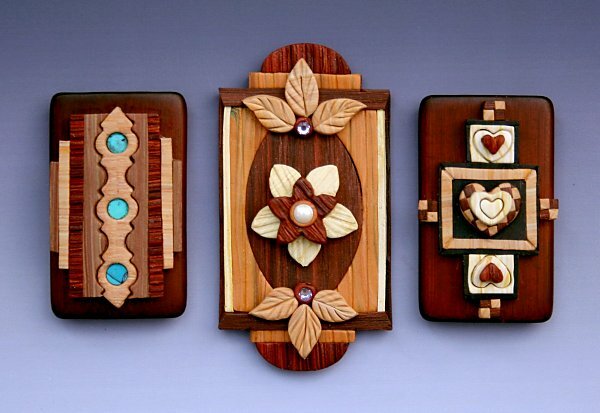 Lynne Ann Schwarzenberg stumbled upon polymer clay in 1991 and she’s been creating, teaching and designing ever since. She bit off more than she could chew, going from marbled beads straight to figurines à la Maureen Carlson. In 2001, she fell into the world of polymer clay guilds, and was delighted to find others who shared her obsession. After exploring the worlds of caricature sculpture, faux materials, filigree, and even dollhouse miniatures for her daughter, she found her niche in millefiori floral caning and tile jewelry. Lynne Ann has been teaching polymer clay to students young and old for over 12 years. Her work has appeared in several publications and she has won a number of awards including Bead & Button magazine’s Bead Dreams competition, the Interweave Press Bead Arts Award, and the National Polymer Clay Guild’s Progress and Possibilities competition. She sells her work in galleries and bead shows and through her website: www.riverpoetdesign.com. And more exciting news from Lynne Ann… she was recently received the 2012 Excellence in Bead Artistry Award from Bead and Button Magazine. This is a huge accomplishment as it is only awarded once a year and has only been given to one other polymer artist, Nan Roche, who is also teaching at CFCF 2013! The award was underwritten this year by Shipwreck BeadsTM which honored Lynne Ann’s achievements with a $1,000 gift certificate. Join us for Lynne Ann’s class and give her your personal congratulations for this accomplishment! You’ll learn several recipes for certain types of wood, texturing, manipulating the grain (tight vs loose, direction, even the occasional knot in the wood), cutting, patterning, constructing marquetry type designs and finishing properly. 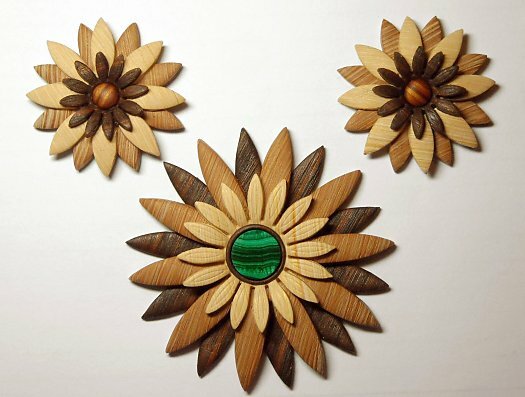 Students can expect to make several shades of faux wood and a pin, pendant or set of earrings. You won’t believe how simple this realistic Poly-Wood technique can be!